We all want to move along with our dreams conforming to our career choices. But to reach the goal, we must go ahead with a plan following the correct step by step procedure. Making IIT JEE as your career choice to lead you towards your dream of becoming a part of top engineering colleges in our country, is the right decision indeed. You must be receptive to the accurate procedure to move on now. This is the time to put forward your first step to make JEE (Main) April 2019 Registration by filling JEE Main 2019 Form. The Application Forms for JEE Main 2019 was released on the official website on 8th February 2019. Before filling JEE Mains form, let’s know about JEE Main 2019. JEE Exam can be considered as one of the toughest engineering admission tests in the world. The exam earlier was conducted by the CBSE Board but NTA will conduct the exam twice a year from 2019. JEE Exam consists of two stages that are - JEE Mains & JEE Advanced. Only after clearing JEE Mains you will be able to appear for JEE Advanced Exam. After clearing JEE Mains, you can easily get admissions in Engineering/Architecture UG Courses provided by various National Institutes of Technology (NITs) and Indian Institutes of Information Technology (IIITs). But to get admissions into Indian Institutes of Technology (IITs), it is obligatory to qualify JEE Advanced. Below in this blog, we have indexed the complete JEE Main 2019 information bulletin to help you in getting updated to the online form filling process. Looking for Updated Syllabus for JEE Main 2019 Exam? Click Here to Download FREE PDF for All Subjects of Paper 1 & 2. JEE Main 2019 Registration - Why Filling JEE Mains Form is Important? As we have stated earlier that to get into the process of admissions in top engineering institutions through IIT JEE and to appear in JEE Mains Exam, first of all, you should go ahead with your JEE Main Registration 2019. To make successful registration, you have to fill JEE Main Application Form 2019 very carefully which is released by the National Testing Agency at 'jeemain.nic.in'. You have to fill all the necessary details that will be used for the whole examination process. It is advised to keep all the details with you before filling JEE Main 2019 Application Form. The important documents that should be kept aside are explained further in this article. The online application process continued until one month. And there will be no offline method to apply for JEE Mains 2019. 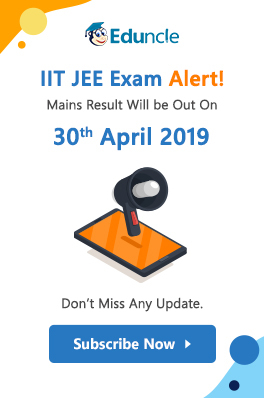 Let’s now start with knowing the important news and JEE Mains exam calendar to mark the important JEE Mains 2019 Date & Notifications and updates related to starting and the last date of JEE Main form. To know how to prepare for JEE Mains without coaching, you must always be aware of the opening and closing dates for filling JEE Mains 2019 registration form. Below are important dates and schedule for IIT JEE Main exam form. While filling JEE Main 2019 Form, you will need some important documents. These documents are to be uploaded after being scanned and help in entering the valid details like your name, marks in 10th and 12th, caste etc. Active Contact Number and Email ID. Your Recent Passport Sized Colored Photograph. Your Valid Signature on a Plain White Paper. 10th Class Certificates and Mark Sheets. 12th Class Certificates and Mark Sheet. Your valid Government Identity Card(ID). The details in the application form will be filled as per your valid Government ID. Caste Certificate (If belong to the reserved category and want an exemption in fees). Note: - You should also check JEE Mains Eligibility Criteria before proceeding to fill JEE Main Form 2019. Aiming to Crack JEE Main 2019 Exam? Download Free List of Important Topics Along With Their Marking Weightage. Plan Your Preparations Smartly! The online JEE Main 2019 Registration started on 8th February 2019 which continued till 7th March 2019. The application form was Online, which could be filled by visiting the official website. Candidates sometimes make mistakes while filling the online form if they are doing IIT JEE Mains registration for the first time. To help you avoid those mistakes we are here with the detailed process for filling JEE Mains 2019 application form. Stage Two: Uploading Photo and Signature in IIT JEE Mains 2019 Form. Now, let’s understand the step by step procedure at each stage of filling JEE Main 2019 Registration Form. In the first stage, you have to enter every important and valid detail like your name, parents’ name, your qualification, marks etc. Step 1: Visit the official website for JEE Main application login and click on “Apply for JEE (Main) - 2019". Step 2: A list of instructions will be shown. Kindly read all the instruction carefully. Step 3: After reading all the instruction, please click the checkbox and then click on “Proceed to Apply Online”. Step 4: The next step for apply JEE Main online is filling the authentication form. You have to fill the Nationality, Eligibility, State, valid Government ID, Date of Birth, Gender and other details as mentioned in the JEE Mains form 2019 and click on “Submit”. Step 5: Now, fill the details of exam like mode of exam, exam center, and the medium of the exam in JEE Main online application form 2019. Step 6: In the next step, fill your personal details like your name, father/mother name, category, Date of Birth, residence etc. Step 7: Fill your academic details like year of passing your school or board etc. in the next step for JEE Main form fill up. Step 8: Fill your mailing details like your residential address, email ID, and contact number. You should also enter the details of the qualification, occupation and the earnings of your guardians. Step 9: Now, the next step while filling JEE Main 2019 registration form is to create a password, enter the security pin. Then, click on the “Next” button. Step 10: After Clicking the next Button, you will directly be taken to the review page, where you will find two links. One is final submission and the second one is edit credentials. If you have entered the correct details you can move on by clicking on final submission and if you want to edit any of the details, you may click on edit credentials. After the final submission, you are redirected to the second stage of filling JEE Main 2019 Form that is uploading the photo and signature. In the second stage, you have to upload the scanned images of your Passport size photo and your signature. Step 1: Click on “Upload Scanned Images”. Step 2: Upload the scanned photo and signature one by one. Step 3: Click on Preview and check the images. Upload again in case you find any error. Step 4: Click to final upload and move on to the next stage of making online IIT JEE Mains 2019 form fee payment. This is the final stage where you have to make online payment for JEE Main application fees via credit/debit card. Step 1: First of all, click on “PAY Exam Fee”. Step 2: Now, select the mode by which you want to make payment i.e. Credit Card or Debit Card. Note: The payment of JEE Main registration online fee could be done by credit/debit card or via e-Challan of Syndicate/Canara/ICICI/HDFC Bank. Thus, your JEE Main Registration form fill up process is over and you can now take the printout of JEE Main application form for future use. If payment via Credit Card - 20% of the examination fee plus the service tax. If payment via Debit Card - 75% + taxes for examination fee up to Rs. 2000 and 1% + taxes for examination fee more than Rs. 2000. Once you pay the application fee, it will not be refunded in any case. You must take a print out of Acknowledgment Page of form for JEE Main 2019 after final submission and payment. If you find an error in generating the Acknowledgment Page, it means your form has not been submitted and the amount of fees will be refunded into your account within 7 days. You have to go for another JEE Main registration 2019. If you make payment via e-challan, you will get a challan with your complete details and the amount of the fees. You must take the printout of the challan and take it to the selected bank’s branch for payment. After you make payment, you will get confirmation from Bank/ NTA for depositing the fee. Only after getting the confirmation, you can print the Acknowledgment Page. You have to log in again to your account for getting the printout. You are advised to preserve the JEE Main application id & password, and JEE Main application number for future communication with NTA. Below we are detailing the application fees for JEE Mains 2019 for the online exam. The list is divided into all the categories as General, OBS, ST, SC, PWD etc. for both centers in India or outside India. Paper I or Paper II 500 Rs. 250 Rs. 250 Rs. 250 Rs. Paper I & Paper II 900 Rs. 450 Rs. 450 Rs. 450 Rs. Paper I or Paper II 2000 Rs. 1000 Rs. 1000 Rs. 1000 Rs. Paper I & Paper II 3000 Rs. 1500 Rs. 1500 Rs. 1500 Rs. At the time of JEE Main online registration, you may make some mistakes that cannot be changed after the final submission of JEE Main 2019 form. But the NTA will provide you a chance to make JEE Main Form Correction. JEE Main 2019 Correction Form process was started from 11th to 15th March 2019. The candidates were allowed to make image and signature correction through the official website of JEE Main. 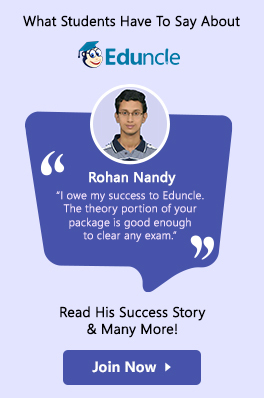 Eduncle make efforts in helping you to avail career opportunities and making your dreams a reality. Here in this article, we tried to assemble all the important information and details that you will need while filling JEE Main application form 2019. There are possibilities that you might be having many other confusions in your minds regarding information and online application for JEE Main 2019. If you have any, please feel free in sharing them with us. 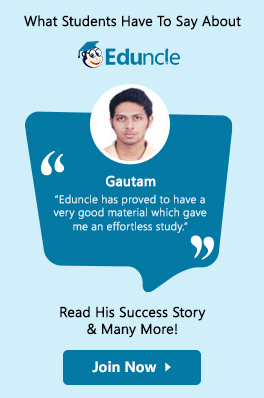 Eduncle experts are always there to help you in solving your queries. If this article helped you in successfully applying for JEE Mains 2019, please share it with your companions. For further assistance and updates, be a regular visitor to our Facebook Page and YouTube Channel. Sir, How to resister for JEE MAIN EXAM....??? I'm confused Please help. When will application available pls inform me..
Sir,what do you mean by Security Pin? Should that be created by ourselves or will it be generated?